Jennings has struggled apart from his 146 in one of the Sri Lanka Tests. 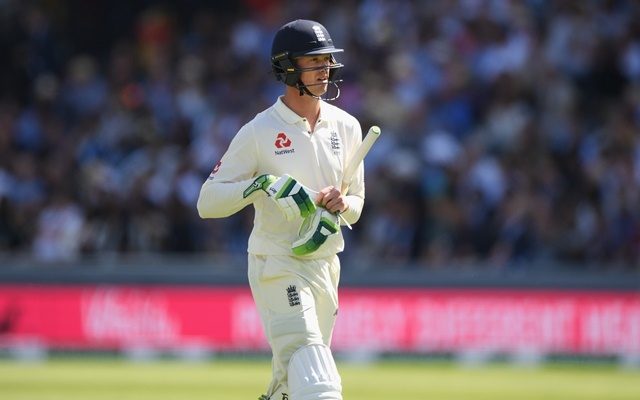 The former England batsman Kevin Pietersen does not like Keaton Jennings is not a well-kept secret anymore. Pietersen has never shied away from taking a shot at the misfiring England opener and the latter is doing very less to stop being criticised. Jennings is facing the heat since his dismal run of poor outings from last year. Jennings had a series to forget against India at home. At the end of the last home summer, the left-hander, who scored a century in India on his debut, had not scored a fifty in his last 18 innings, thus becoming the first England opener to achieve this dubious record. The dismal run also extended his wait for scoring his first Test fifty at home despite playing 10 Tests. He ended the home summer with just 192 from with a top score of just 42. The 146-run knock in the first Test against Sri Lanka gave him some breathing space but Jennings has failed to build on that century. The southpaw struggled in the remainder of the Tests in Sri Lanka and his poor form has continued in the ongoing series against Windies too. Jennings, who is still yet to reach 50 in the 12 Tests he’s played outside Asia, was dropped from the playing eleven for the second Test after scoring just 17 and 14 in the first Test. However, England recalled him for the third Test that started on Saturday only to see Keaton Jennings throwing away another opportunity. The struggling batsman scored 9 off 42 deliveries before being dismissed by Keemo Paul. And as soon as Jennings was dismissed, Pietersen took another shot at him. England, meanwhile, recovered from 107 for 4 to end day one on 231 for 4 as they look to avoid a humiliating whitewash. Jos Buttler and Ben Stokes saved the day for the visitors by scoring unbeaten fifties and sharing an unbeaten stand of 124 runs. Buttler was batting on 67 while Stokes was on 62 when the umpire signalled the end of the day.